This filly is a real chunk! 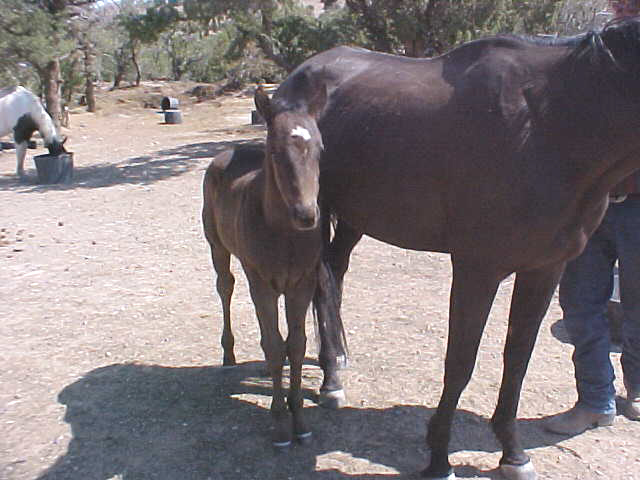 Her full sister last year is brightly patterned and our most expensive foal. The only difference between these two is age and color pattern. Her beautiful head, heavy muscled body and sweet attitude make her a winner whatever discipline you choose for her. 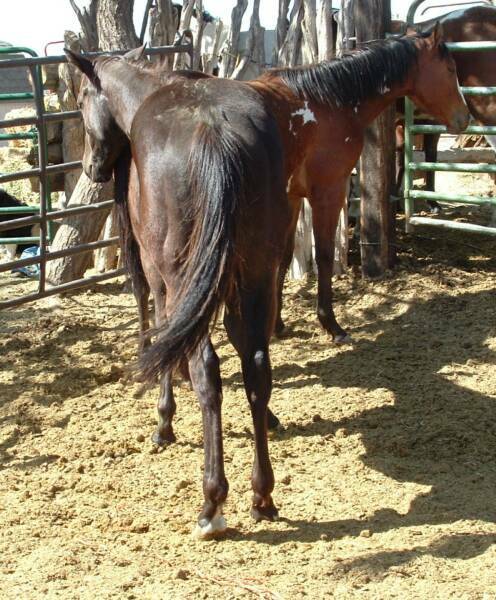 This will be a big, pretty, sweet mare. 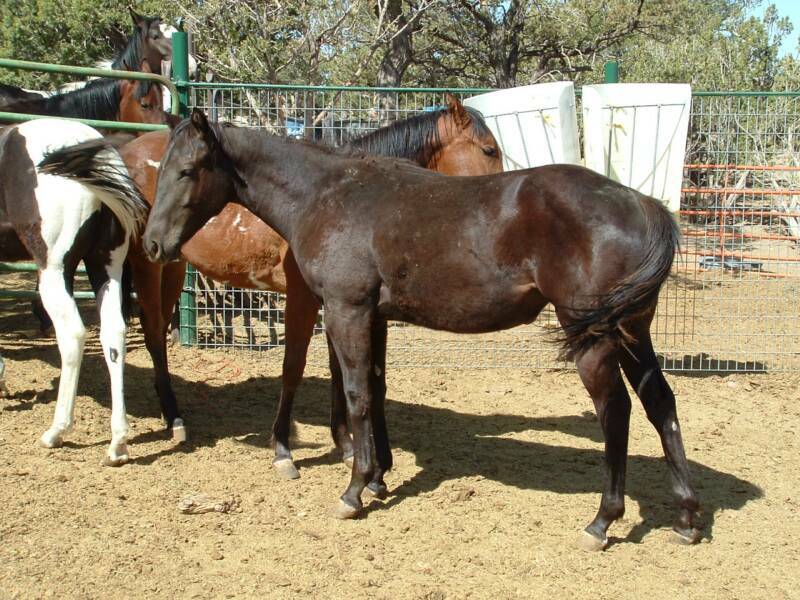 This is Bees's first stud colt and he sure is a dandy! He looks like his sisters did at his age. He will be tall, stout and really built. His only white is the cute star on his forehead. This horse can keep you up to speed in style. He has great bloodlines and is a real steal at the price.